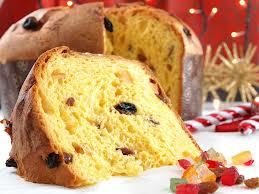 Although I used Panettone to make my bread pudding, any type of dense bread can be used. ++ Recipe can be easily doubled – use a 1 1/2 quart baking dish or casserole and up baking time to 55 – 60+ minutes. See tip below for testing if bread pudding is fully cooked. ++ Optional —- IF NOT USING PANETONNE add about 1/8 cup chocolate chips & a few gratings of orange peel. Cut bread into thick slices – cut slices into 2′ squares. ++ You don’t have to be fussy about how you cut up the bread. Place cubed bread into a greased loaf pan. In a medium bowl, whisk together 2 eggs, 1/2 cup condensed milk, 1/2 cup water, 2 pinches nutmeg & 1/4 tsp. vanilla. Pour over bread squares. Cut – or pull off – small pieces of cream cheese and drop on top of the bread/milk mixture. Mix everything together and allow to sit for a few minutes so bread can absorb liquid. Place loaf pan in large pan or large casserole containing 1′ of hot water. Bake at 350F for 45 minutes – or until a knife inserted 1/2′ into pudding comes out clean. Bread pudding should be puffed and dry-looking on the top. 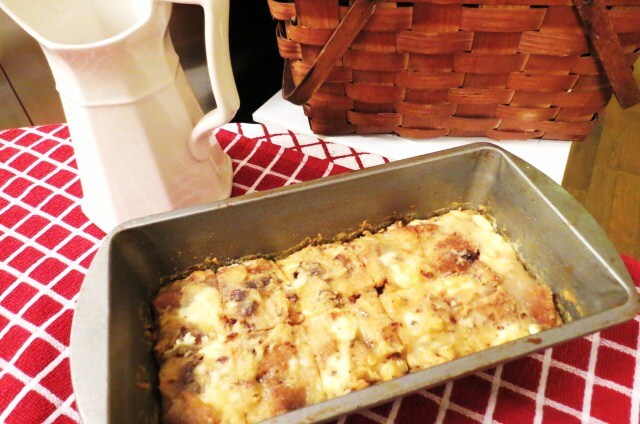 ‘Not Your Grandmother’s’ Bread Pudding is delicious eaten warm or cold. And it’s so rich there’s actually no need for special toppings but it sure is good with fudge sauce!! Next Post “Just a Chat” – – I’m Ready to Say Bye Bye to Winter….. I saw your name on another post and was enticed by the name of your blog. I am GLAD I came! I am a pudding nut and I really really like bread pudding. You were not exaggerating that this is NOT your Grandma’s bread pudding. 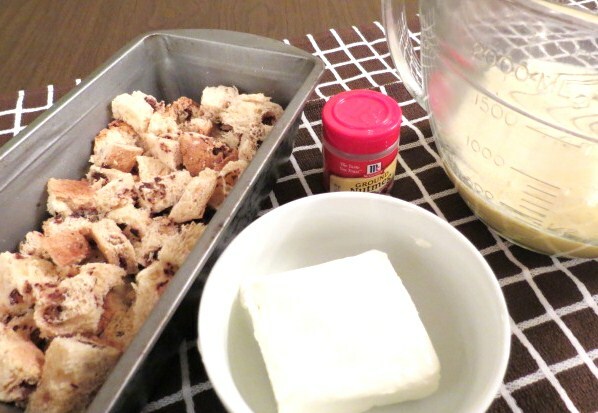 I am a grandma, so by making this maybe it will become a Grandma’s bread pudding. Anyway this is a keeper. I most anxious to try this out and see the difference between it and the more traditional recipes. 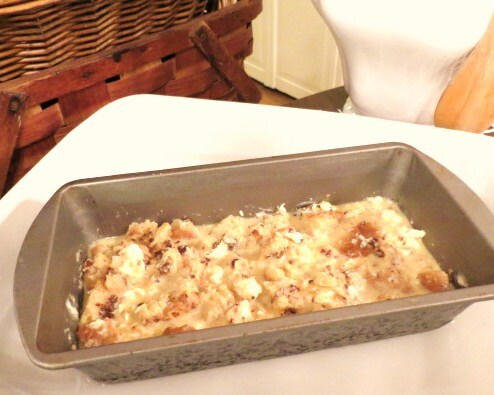 I was so pleased how this bread pudding turned out – and – it was even better as leftovers! And you’re right – it sure doesn’t need ANY type of sauce – it’s delicious on it’s own! I don’t know what happened to my comment, cause I’m sure I posted one, but I love your recipe. It’s good enough on its own without the chocolate sauce, I think. …MMM that looks great! 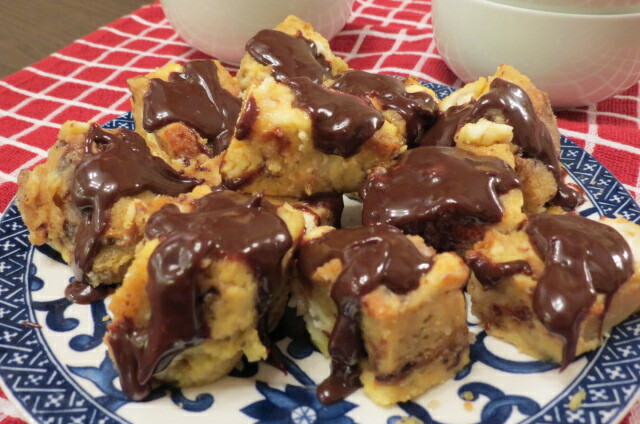 I love bread pudding 🙂 I found your blog by linking from another site, I am glad I did! Great recipes..
Michael – I so glad you’re following me – that’s great!! I have twin sons who were born in Montreal – the ‘first one’ is named Michael (Michel) because it’s my very favorite name !! I’m gonna go check out your creme brulee recipe – I LOVE creme brulee but have never made it. Hi Liz ! I bet Stollen would be delicious – and also Challah, I imagine. (Hope I spelled that right.) I want to make a creamy Bourbon sauce to go along with this recipe…. I gotta ‘get on that’!! I have some stollen. My friend brought it from Germany. I wonder whether I can use it for this recipe. The bread pudding looks very delicious. Thanks for sharing! Wow, Cecile, winter is the perfect time of year for a bread pudding! It looks and sounds just delicious! Thanks!! You know when you just have a ‘hankering’ for something? Well, for me, it was Bread Pudding. One of my sons often makes bread pudding and rice pudding with his children using the cookbook a made for my family with some of their favorite dishes. That makes my heart happy !! Thanks Karen! – thanks for your sweet comment! I had the idea to add some some cream cheese after I’d started making the bread pudding. I went back & forth about the idea – and now I’m so glad I put it in. The ‘little blobs’ of cream cheese taste like bits of creamy cheese cake… which I had they hoped they would!! Yum! That is truly a delicious sounding bread pudding. Thanks so much Sophie – I had some for breakfast ! !